Occupational Injury Insurance in Spain, explained by professionals. Insuring your safety at work. 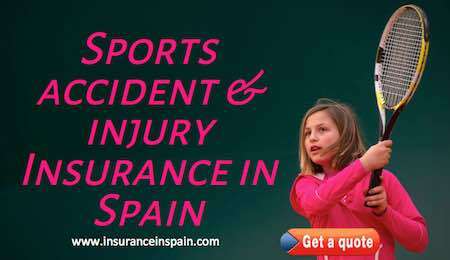 At www.insuranceinspain.com we understand how easily an accident or injury can occur at work, and not all businesses have the relevant insurance to cover you. The Liberty Occupational - Professional and Business Accident and Injury insurance policies are in English or Spanish and are surprisingly cheap. In case of accidental death, an advance payment can be requested for urgent expenses. Flexibility in terms of covers, guarantees and sums insured, which can be adapted to suit your needs. Free choice of a physician for health care expenses due to an accident. Progressive formulas for permanent disability at 225 % or 350%. The lower the insured´s professional risk, the lower the premium. Significant discounts are provided to increase the grace period in the event of temporary disability. Automatic adjustment of insured sums. Guarantee of security inside and outside your home. Daily compensation for hospitalization arising from accident. Monthly income due to accidental death. Death due to a traffic accident. Death of the insured and spouse caused by the same accident. Monthly income due to accidental total permanent disability. Permanent Disability due to a traffic accident. Death due to a heart attack. 1. 24 hour cover for accidents suffered by the insured, both while carrying out his/her regular occupation and in his/her private life. 2. Professional risk cover for accidents suffered by the insured while performing his/her regular occupation. 3. Extra professional risk cover for accidents suffered by the insured in his/her private life.